As a pattern of warmer-than-usual winters followed by early spring frosts continues, this varying weather can affect your soil conditions – and your nitrogen availability. Because nitrogen loss can occur through emissions into the air (volatilization and denitrification) and through wet soil and runoff (leaching), understanding how weather affects your fields is critical to your nitrogen plan. No matter how you approach your nitrogen plan, these key factors can help you to have a successful year. 1. Understanding field and weather variables can help you protect your nitrogen inputs. Changing weather conditions and field variability, including soil, terrain and elevation, can affect nitrogen availability in your fields. Accurate monitoring tools can help you take measures to potentially reduce both nitrogen and yield losses. 2. Viewing nitrogen levels based on applications, crop stage, and weather with the FieldView monitoring tool can help you determine the right time and the right rate of nitrogen to apply. With this critical information, you can get an update of current nitrogen availability in your fields based on data science. This data reflects thousands of soil, residue, and plant tissue samples that provide you with industry-leading, science-based insights for nitrogen management decisions. 3. Connecting with FieldView now will help you customize your nitrogen monitoring tool with actual planting data. 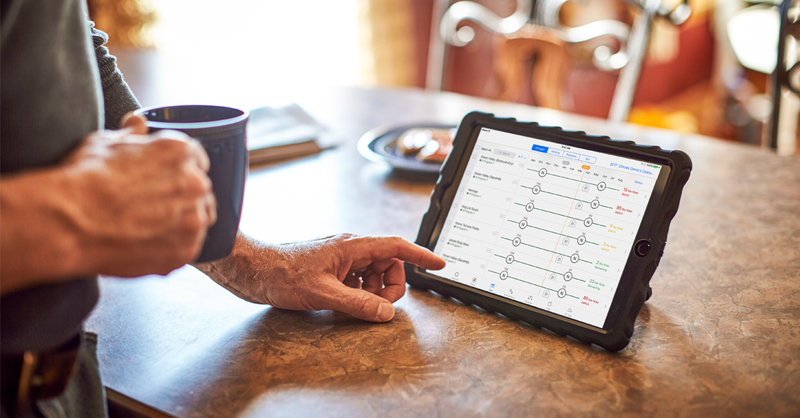 Connect to the Climate FieldView™ Drive, Precision Planting 20/20 SeedSense® monitors or John Deere Wireless Data Server (WDS) technology to automatically update and customize your FieldView nitrogen monitoring tool with your planting data and minimize redundant entries. If you need assistance connecting, you will find tips here. 4. Uploading your grid soil test results means more accurate soil data in the nitrogen model. Soil data upload is now available in Climate FieldView. These grid soil test results will also allow you to view soil test maps for greater insights into your fields and to help you confirm the decisions you make throughout the growing season. Learn how to update your grid soil data here. 5. Managing your nitrogen by customizable management zones can help you optimize your nitrogen investment – and yield. Monitoring nitrogen by customizable management zones (available later in 2017) will allow you to spot potential shortfalls and ensure you have enough nitrogen to meet your yield goals. In an effort to continually improve the Climate FieldView platform, we are in the process of developing variable rate prescription tools for nitrogen, phosphorous and potassium. We expect to provide the industry’s first comprehensive fertility solution, delivering customized insights for crop nutrition and fertility management, tailored to your unique goals and your fields’ needs. This is just one initiative of a comprehensive research and development pipeline designed to help farmers produce better harvests. Learn more now. Get the growing season off to the right start. Formulating your nitrogen plan now will help you determine the best times to apply the right amounts of nitrogen to your crops throughout the year. I invite you to take a look at the enhanced FieldView nitrogen monitoring tools to help you stay on top of ever-changing weather patterns and soil conditions – and your nitrogen availability. 1,216 comparisons across 12 farms. Application cost: $8/acre.